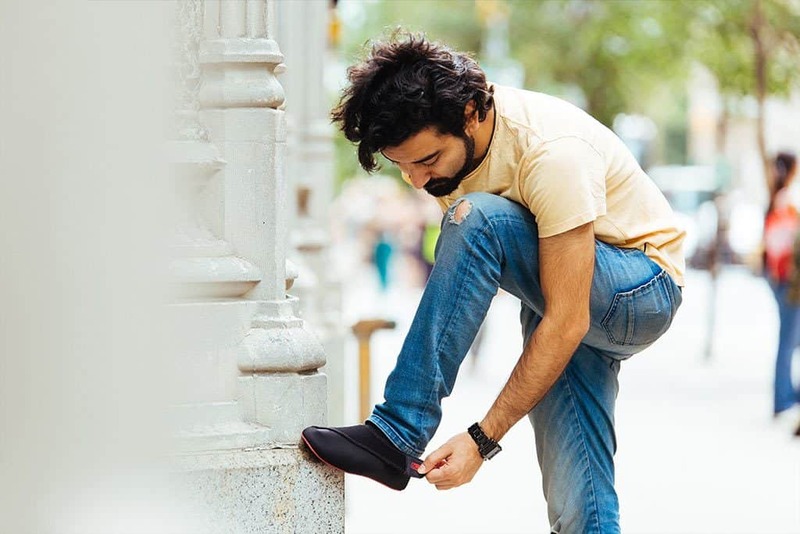 Redbit® is revolutionizing footwear with the Hop: a brand new everyday shoe. 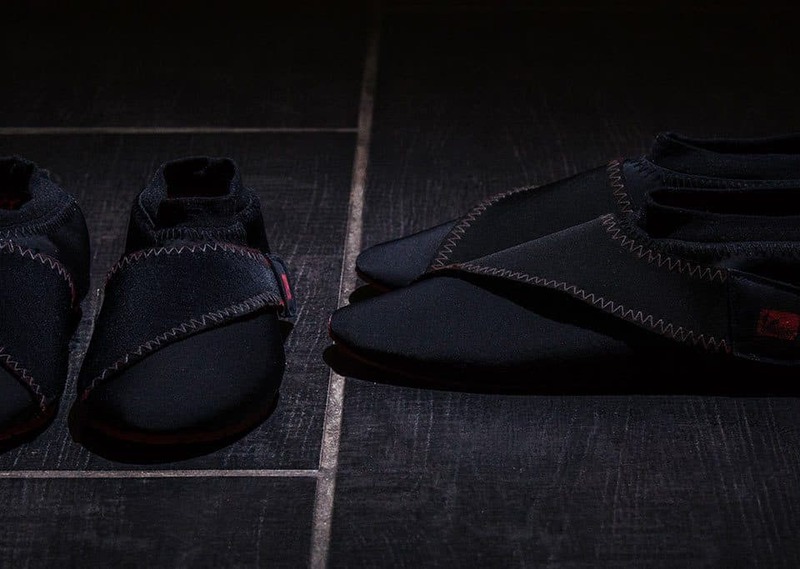 If you’re like most people, you can’t wait to take your shoes off at the end of the day… until now! 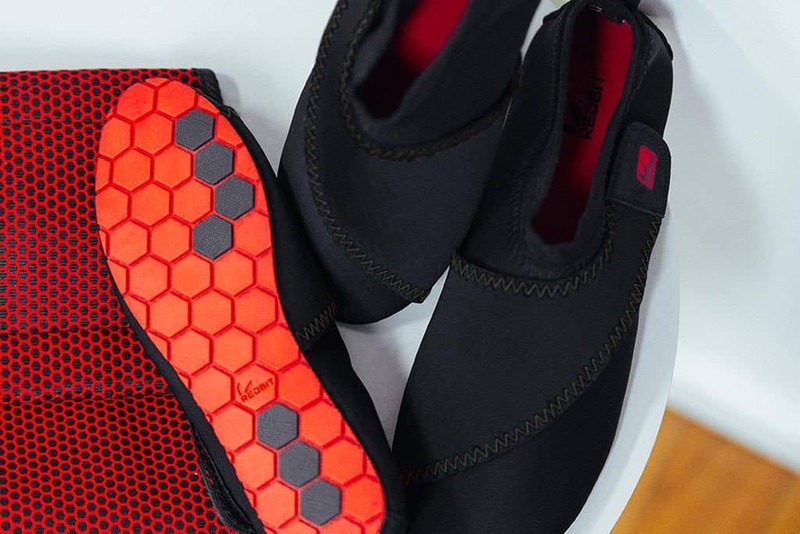 Redbit® Hops are no ordinary pair of shoes — Redbit® Hop’s negative ion Touri-on technology — in footwear you’ll actually want to wear. 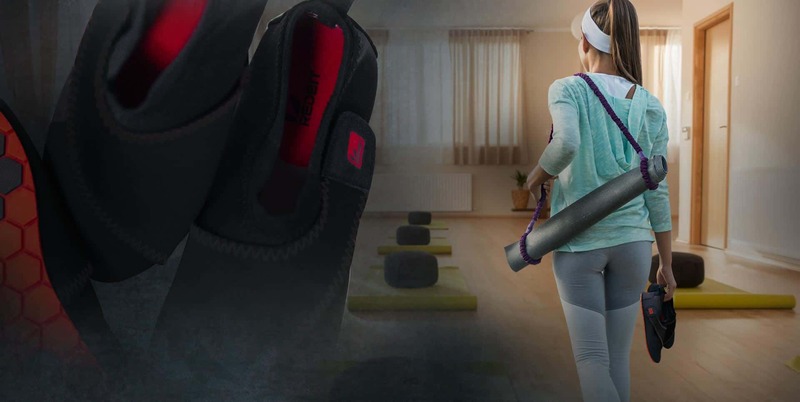 Redbit® Hops don’t just provide comfort; slipping on a pair of Redbit® Hops, you’ll feel like you’re dipping your feet into a warm mineral soak — that’s the power of Touri-on technology. Find yourself transported to feelings of bliss, comfort, and rejuvenation every time you put on your Hops. 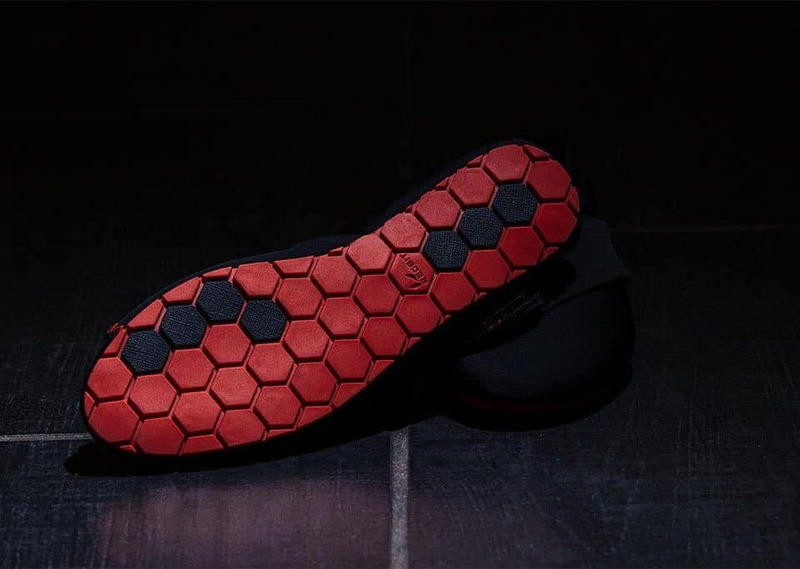 The Redbit® Hop was awarded the silver medal at Inventions Geneva, Redbit’s® Hop is a unique blend of advanced Touri-on mineral technology and stylish aesthetics. Tested different materials to ensure we created the best possible product. Hops come with a Velcro strap for easy comfort adjustments and the nylon/spandex fabric provides lots of stretch. 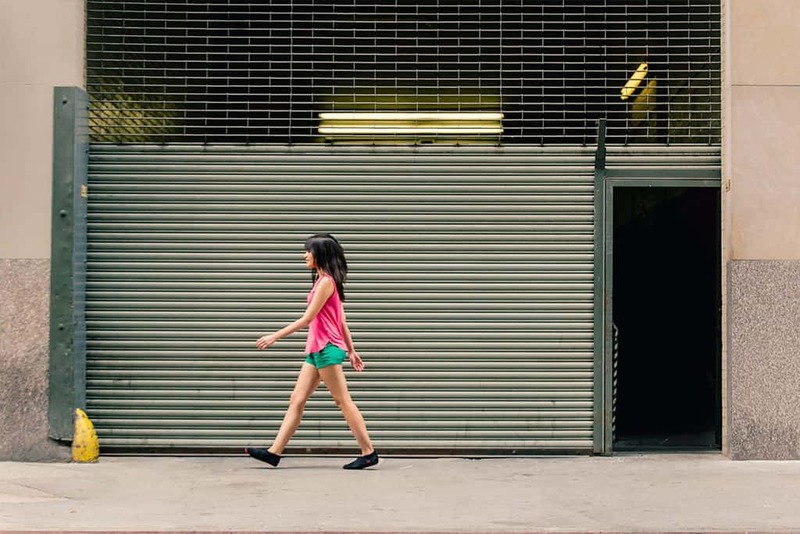 There are other shoes and products that boost circulation, but they require batteries and accessories – or can’t be worn outdoors as actual footwear. 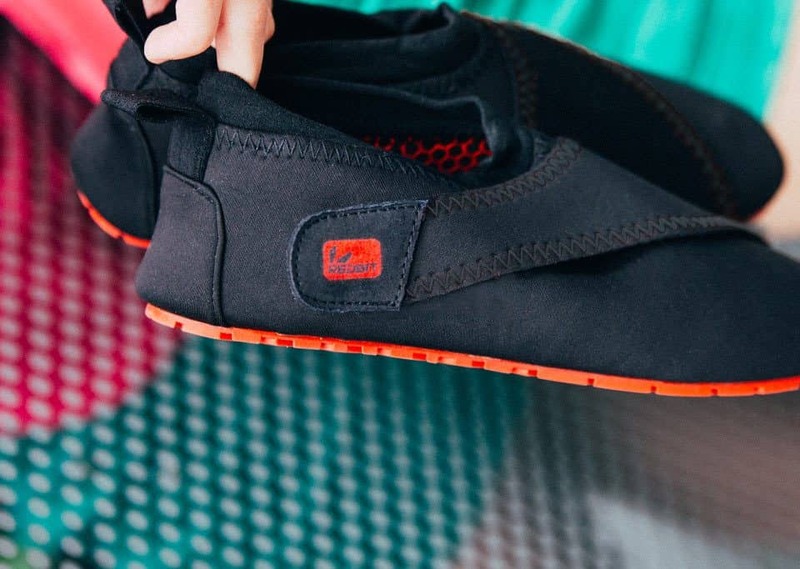 The Hop was designed to look like a standard shoe and perform perfectly — all without any cords, wires, or batteries. Redbit® Hops come in different colors to suit any style or mood. 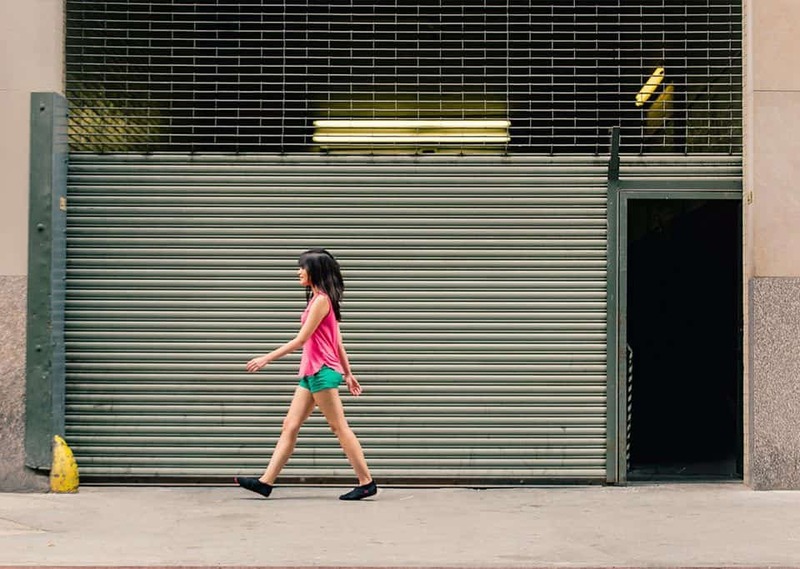 Hops are the perfect shoe to slip into after exercising or playing any type of sport. Carry a pair in your gym bag to put on after soccer practice, a strenuous workout, or after a long run. Hops are also ideal for yoga fans too, both during and after your class. Redbit® Hops were designed with everyday people in mind. 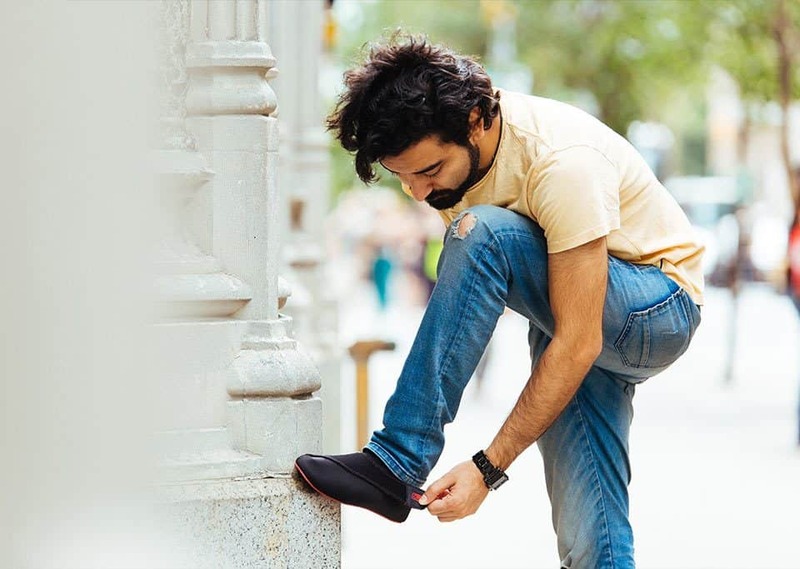 We designed a shoe that not only offers the comfort we wanted, but also could be easily integrated into your wardrobe. Hops are perfect for everything from running errands, to hours spent sitting at your desk, or to wear when you’re just hanging out. Not only are they supremely comfortable, when you slip on a pair of Redbit® Hops, you’ll feel like you’re dipping your feet into a warm mineral soak — that’s the power of Touri-on technology. 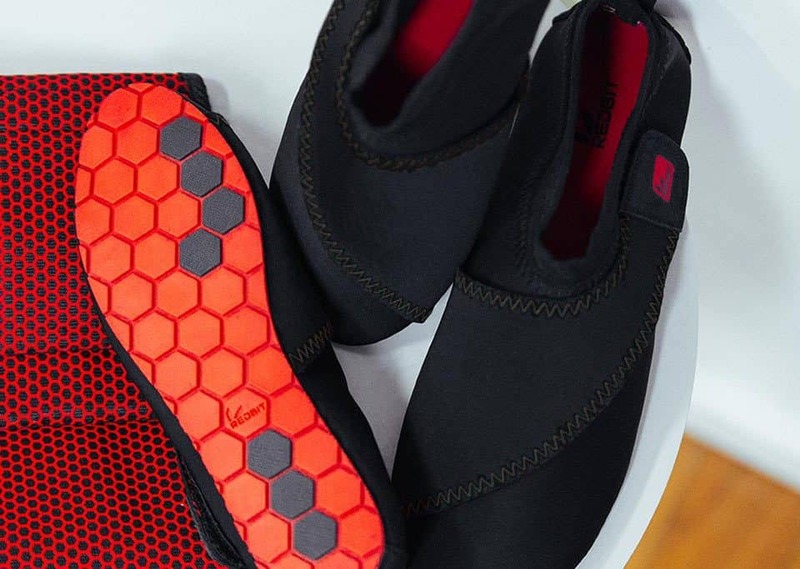 When we designed the Hop, we wanted to ensure they are comfortable and aesthetically pleasing so they could be worn by working professionals. Doctors, nurses, teachers, retail employees, and other busy professions will love the comfort, convenience, and health benefits that Hops provide. If you must be on your feet most of the day, you’re going to love Hops! If your job requires you to spend a lot of time at your desk, you’ll want to a pair of Hops close by. Slipping into a pair of Hops can help make for a much more comfortable and enjoyable work day. If you can’t wear Hops at work, you’ll really want a pair waiting for you when you get home. Every time you slip on your Hops you’ll find yourself transported to feelings of bliss, comfort, and rejuvenation. No one likes long transatlantic flights, but did you know that spending too long on a plane can lead to a variety of physical ailments? We’re talking swollen feet, restless legs, discomfort, and in extreme cases, deep vein thrombosis. 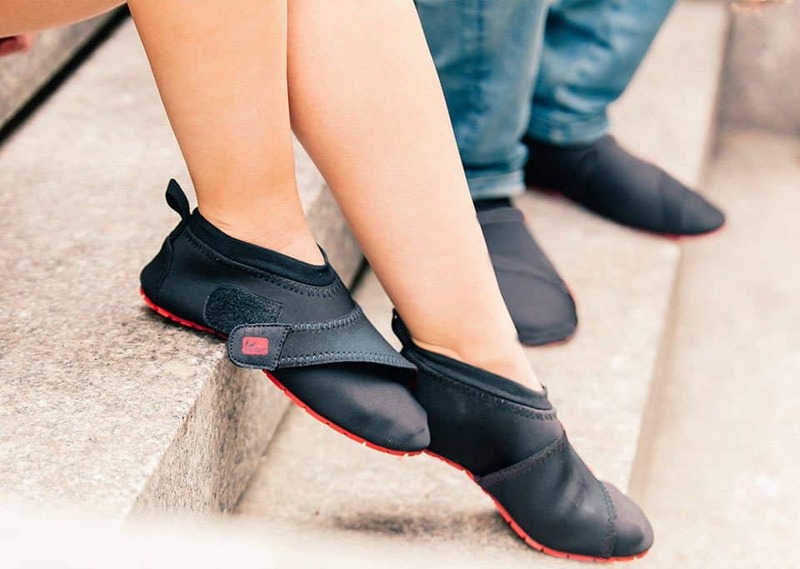 Redbit® Hops increase your circulation, keeping your feet refreshed and healthy. 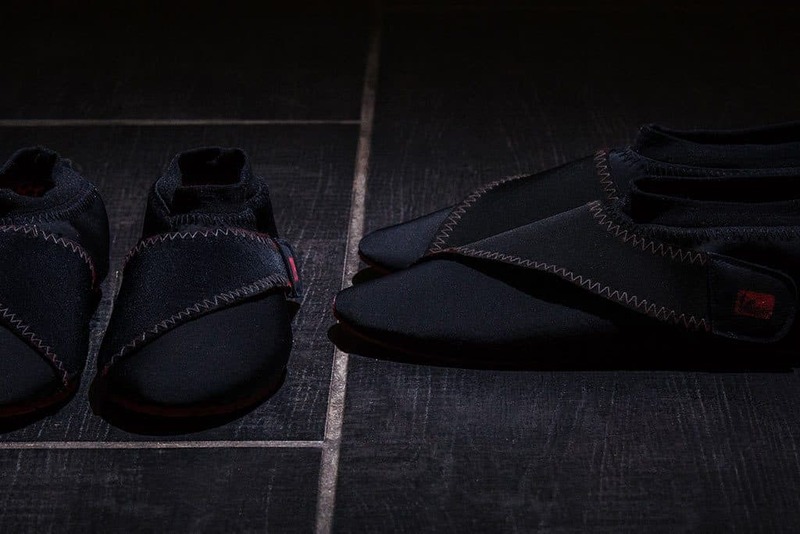 Or, if you’re someone who spends a lot of time on their feet commuting, these shoes will definitely make your journey much more pleasant. Do Redbit® Hops come in other colors? 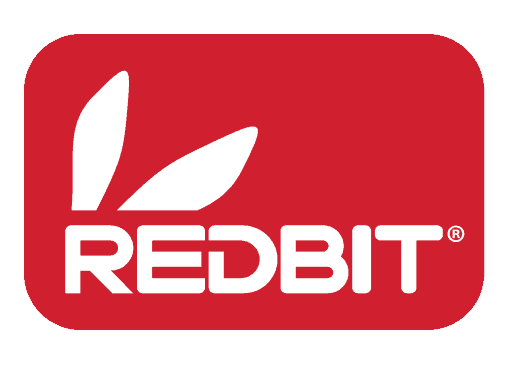 Redbit® Hops are available in Snow White, Lava Red, Azure Blue and Pebble Grey. 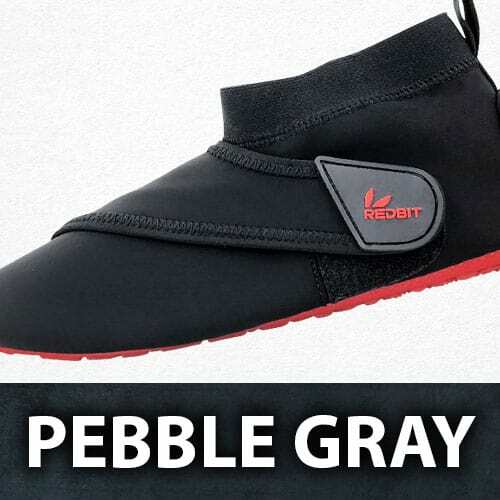 (Pebble Grey is shown in video). Men’s US sizes range from 7 -12. Do Redbit® Hops come in half sizes? For this first run of the Redbit® Hop, we are producing full sizes. Ultimately we will send out a survey that will include colors, sizes and new styles. 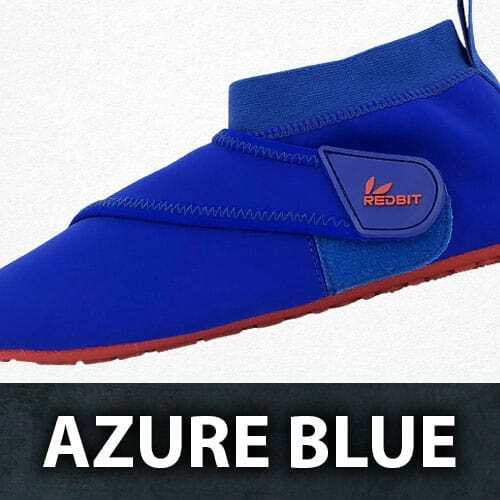 Can I wear my Redbit® Hops in the bitter cold weather? Redbit® Hops are primarily designed for relaxation and light outdoor activity. 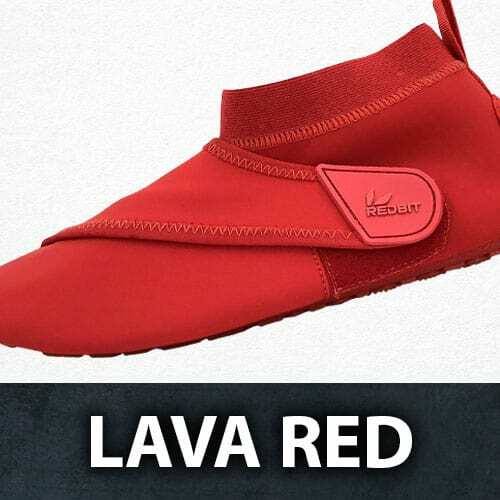 They should be worn outside in dry conditions. The Redbit® Hop’s natural healing properties certainly can offer a kind of warm feeling, when it helps increase the circulation. 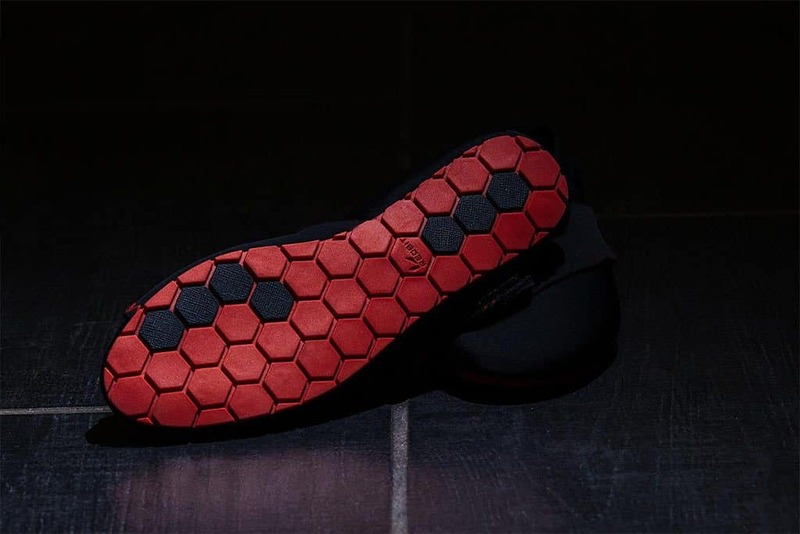 Are Redbit® Hops suitable for wide feet? Redbit® Hops were designed to have a generous fit. 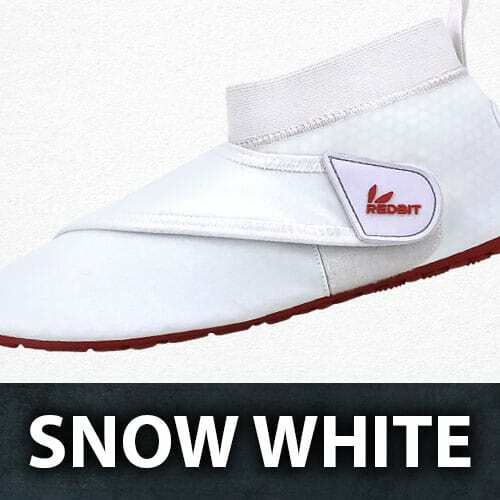 The shape of the shoe can fit most feet and is suitable for wider feet The velcro strap allows for comfort adjustments. Can I wash my Redbit® Hops? 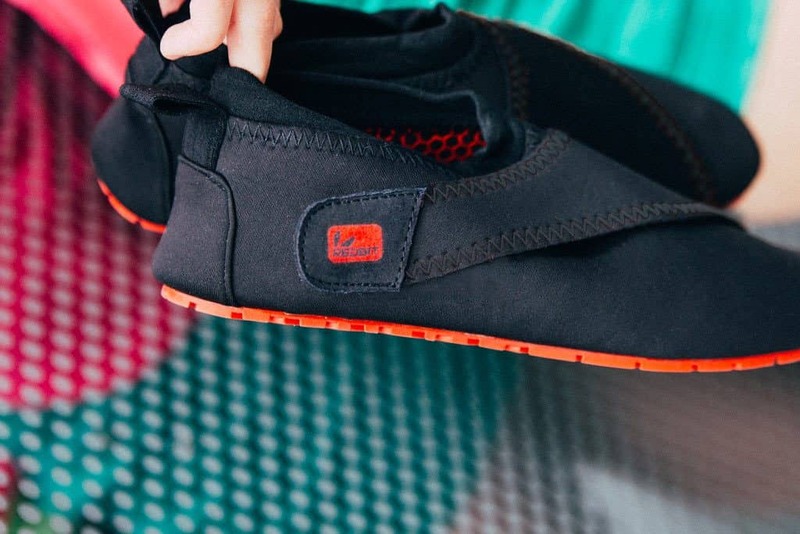 The whole shoe is washable. Hand wash with soap and warm water and let air dry. Do not place in the washing machine or dryer.